Ever since it became possible to view the human brain as it lights up with activity, researchers have had to change long-held assumptions about an organ that has been called “the three-pound universe.” With the field of neuroscience exploding with new findings by the day, SUPER BRAINexplores new discoveries that maximize the potential of the human brain in practical and actionable ways. Introduced by his co-author, Dr. Deepak Chopra, Harvard Medical School professor Rudy Tanzi takes advantage of cutting-edge research to show the way to maximize our brain’s potential. Alzheimer’s disease research: The Metropolitan Life Award and The Potamkin Prize. 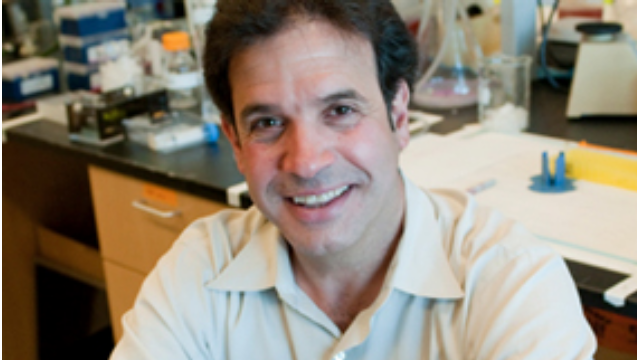 Dr. Tanzi was included on the list of the “Harvard 100 Most Influential Alumni,” and was chosen by the Geoffrey Beene Foundation as a “Rock Star of Science.” He serves on national and federal committees to address the impact of Alzheimer’s disease in the U.S. Dr. Tanzi has co-authored more than 400 scientific research articles and book chapters. He also co-authored the book Decoding Darkness: The Search for the Genetic Causes of Alzheimer’s Disease. Deepak Chopra, M.D., is the author of more than 65 books, including numerous New York Times best-sellers. His medical training is in internal medicine and endocrinology, and he is a Fellow of the American College of Physicians, a member of the American Association of Clinical Endocrinologists, Adjunct Professor of Executive Programs at the Kellogg School of Management at Northwestern University, Distinguished Executive Scholar, Columbia Business School, Columbia University, and a Senior Scientist at the Gallup organization. He participates annually as a lecturer at the Update in Internal Medicine event sponsored by Harvard Medical School, Department of Continuing Education and the Department of Medicine, Beth Israel.